UC Merced cares about your success! Whether you are facing academic difficulty, or looking to maximize your learning and success, this website offers campus and community resources to support your personal and academic goals. Students are encouraged to utilize this website often as resources may be useful at different points in your academic career. A quick reference guide to UC Merced resources can be found here. Additional information can be found below. Additional resources for student success can be found here. College wasn't meant to be done alone. Successful students build a team of individuals to support your goals. Who do you want on your team? Research shows that family support can make a difference in a student’s success. Find family (and friends!) who care about your well-being and provide a listening ear or piece of advice. Be honest with your family about your stressors and successes! Help them understand the expectations of your college experience so they know how they can support you. The students who surround you are an invaluable form of support for your academic success. Study partners and groups are excellent resources, as you can collaborate together to understand and master course content. By establishing a relationship with your advisor and sharing your ideas and concerns with them, you can maintain a strong support network that will keep you on track as you progress through your degree requirements. Peer advising educators can offer insight on how to succeed in courses and are able to share their own knowledge and experience with other students. Professors and Teaching Assistants provide the most direct link to the course content you’re studying. For tips on working with your instructors, check out the “Building a Strong Connection with your Professor/Instructor” here. Faculty can help make connections between course work and their academic field and inform you of academic opportunities. Successful students use on-campus resources throughout their academic career, even before facing academic difficulty. Effective use of study space, tutoring services, peer mentors and office hours can give you an edge and may mean the difference in how well you do in your classes. Professors, TAs and academic advisors are excellent resources to discuss strategies for academic success. Get to know your professors! Check your course syllabus for information regarding your professor’s office hours. Stop in if you have questions or concerns about a course or are interested in getting to know your professor. Check out the “Building a Strong Connection with your Professor/Instructor” presentation. The BSC provides numerous learning resources including online 30-minute workshops, learning style assessments, and study strategies. PALS offers tutoring services in over 40 courses--free of charge for all students. You can search the online calendar by keyword for your course (e.g., CHEM, MATH, BIO). The STEM Resource Center offers tutoring for science, math, and engineering courses as well as research and internship opportunities that support success for students in the sciences and engineering. Free assistance in written assignments for any class. Schedule a 30-minute or 60-minute appointment for help with every stage of the writing process (pre-writing through final drafts). Finding the right study location is important when working on homework or preparing for exams. The campus offers numerous locations to study--but don't limit yourself to indoors or on-campus space! Quiet study locations: COB 3rd floor, COB2 2nd floor, SSM 2nd floor, S&E Lobby, Golden Room (located in Kolligian Library), and Kolligian Library study rooms (click here to reserve a room). Visit your academic advisor. Advisors can discuss strategies to be successful in coursework and assist you with the best ways to complete your degree. Take our interactive tutorial on GPA and the Academic Standing policy here. The program empowers first-year students to make a successful transition to academic and social life at UC Merced through one-on-one mentoring with upper division students and community based initiatives. Various workshops either on campus or on the web are offered throughout the semester to help students with their academic and life success. Am I Pursuing the Right Major? Utilize the free assessments offered by the Center for Career and Professional Advancement. A career counselor will use the assessments to align your personality and interests with possible careers and majors. Browse the majors UCM has to offer. Browse career options for the majors that interest you. I’m considering more than one major—how do I decide? Run a What-If My Audit for each major, in order to understand what your requirements would be for each major. Read course descriptions for upper division classes in each major. Which subject is most interesting to you? Take a class to try out each major. Work with an advisor in your intended area (SSHA, NS, SOE) or an Undeclared advisor to determine which classes would be best. Successful students understand that they need support from others and that non-academic issues may impact their academic success. Do not be afraid to reach out and talk to someone. We all deal with stress very differently, talking to someone about it may support you in releasing some of the burden or stress you are feeling. Don’t shy away from difficult conversations. Recognize that stressors from home can impact your life at school. Take the time to discuss boundaries with your family - including when they should involve you or when you need some space from things going on at home. When you are ready, share your difficulties with your family - after all, they know you best! Don’t be afraid to to be challenged and, sometimes, to fail. College is very different than high school. Make time to sit down with family members and explain the difference in rigor between high school assignments and college work. An “A” in high school might transfer to a “B” in college and most students find that additional effort is required to be successful academically. For example, for every hour in class, students are expected to study three hours outside of class. Talk to your parents about how to talk to you. Help your family know how to best support you as strive to meet your personal and academic goals - teaching parents how to listen and best address your needs is an essential part of your success. Define success in your terms. Identify what success means to you. For some this simply means happiness, which only you can define. Being independent allows you to articulate and identify how you wish to become successful by creating your own goals and plans for the future. With the support of your parents, friends and university affiliates you can refine your definition of success. Successful students take proactive approaches to maintain the multiple facets of their identity. Physical and psychological well-being have an impact on your academic success. A balanced approach to your college experience goes beyond your time in the classroom. 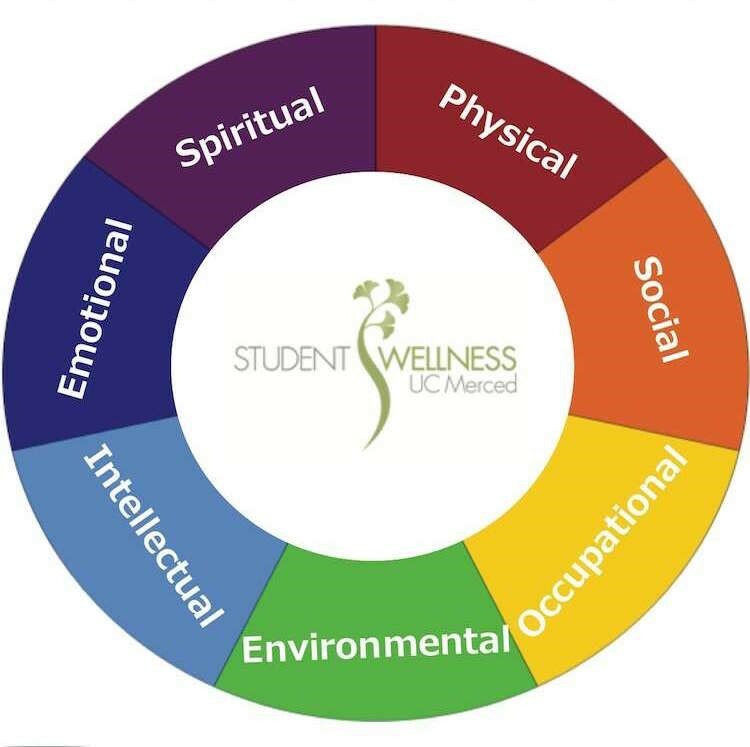 Include healthy habits in your day, including visits to the Recreation and Athletics Center http://recreation.ucmerced.edu/ or consulting with a H.E.R.O.E.S peer educator http://health.ucmerced.edu/heroes. Establish or enhance your support system. Varied forms of interaction with different types of people are important to your success! Successful students understand the transition from home to a new environment can be difficult. Being in charge of your living and financial arrangements can be challenging - be sure to utilize resources available to you in your decision making process. For on campus housing options, visit: http://housing.ucmerced.edu/. You may apply for extended stay throughout the winter break. UC Merced provides a great Off-Campus Housing Database for students to utilize: http://housing.ucmerced.edu/off-campus. It can be difficult living and interacting with another individual outside of your family. If your feel your roommate/housemate is being disrespectful towards you, common space or not paying rent on time, speak to someone. You are not alone in this. Speak to your Residential Advisor (RA). Build a plan with a mediator and stick to it. On campus mediation is available through the Office of Ombuds Services (http://ombuds.ucmerced.edu/). Speak to someone to release your frustration, Counseling Center is a great resource. The campus offers mediation services available through the Office of Ombuds Services (http://ombuds.ucmerced.edu/about-office/campus-ombuds). A budget is a future guide to allocate and save money dependent on your income and bills. Contact the Office of Student Life for information on their Moneywise Bobcat Institute (osl@ucmerced.edu). Student loan types: http://financialaid.ucmerced.edu/types-aid/loans. Educate yourself on the impact of loans on your financial future. Always speak to a financial aid officer through the Students First Center to review your financial aid packet and any time something financial may come-up. For example, an unexpected expense. The Office of Financial Aid, may be able to temporarily assist you with this unexpected expense. There is a misconception that you will only need a credit score when buying a car or home. Your credit begins to impact you now. It is taken into consideration when you are applying for any type of loan. A successful student begins to responsibly build their credit score early on.